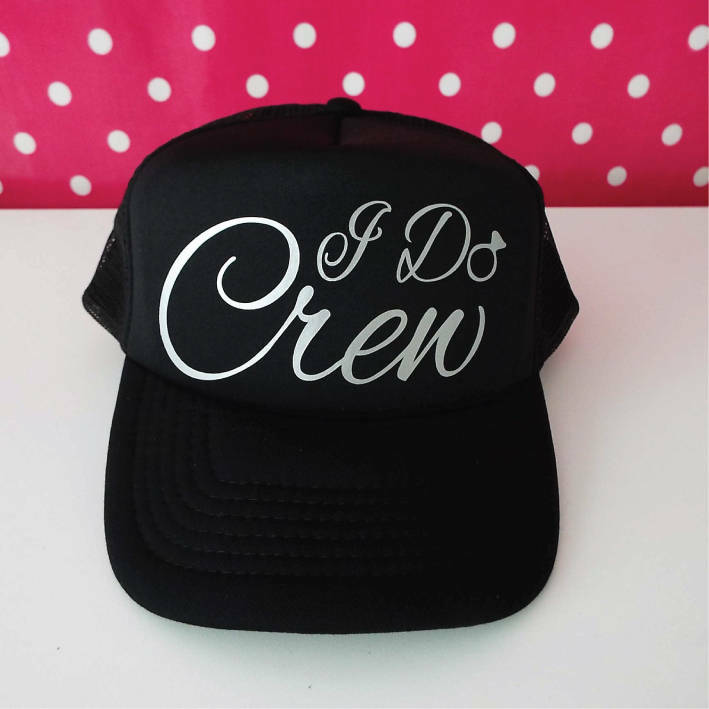 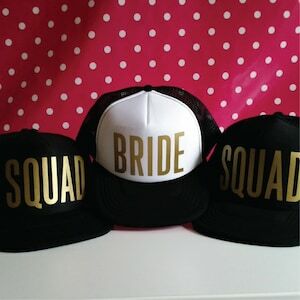 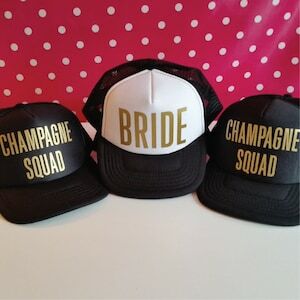 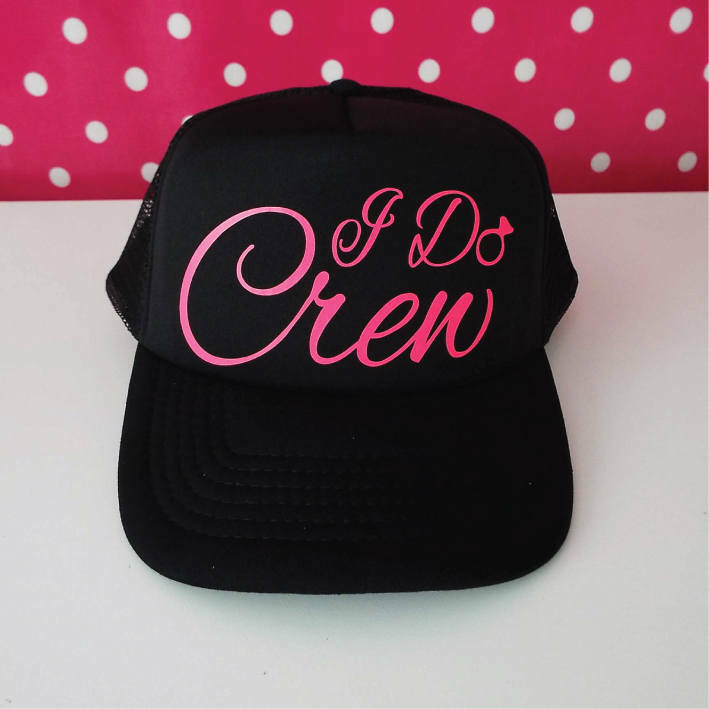 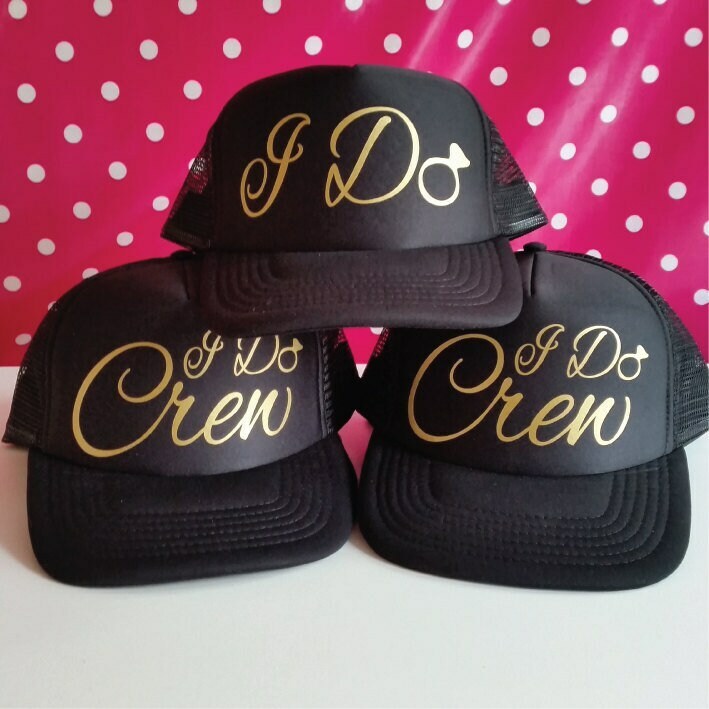 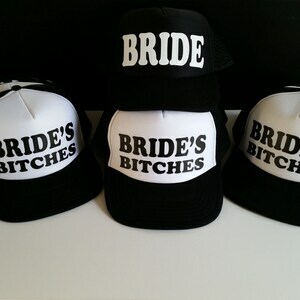 This set of 15 Bachelorette Hats - I Do Crew & I Do - are a fab addition to your Hen Party, Bachelorette Party, Hen Do, Bridal Party or Wedding Party. 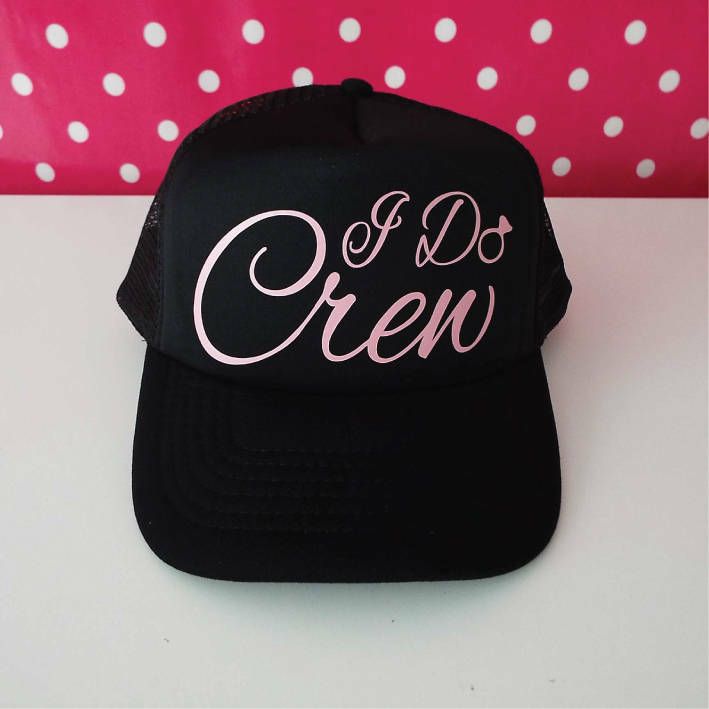 15 All Black Snapback Trucker Caps, 14 x I Do Crew Hats and 1 x I Do Hat. 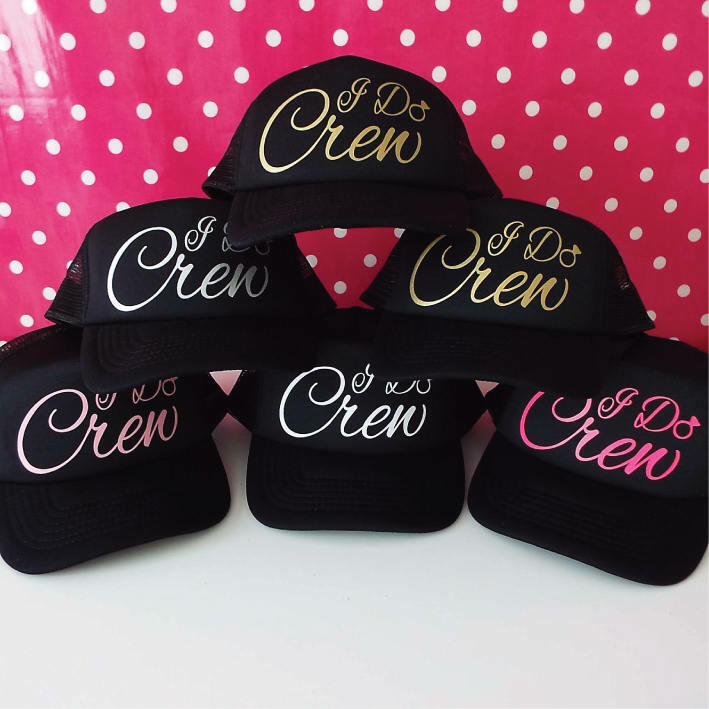 Available in a range of print colours including gold.